Suprema’s extensive range of access control and time and attendance devices make custom implementations, per site, easier and more efficient. By combining different Suprema readers based on their individual benefits, greater flexibility is provided for meeting the increasing demand for cost-effectiveness without compromising on quality. 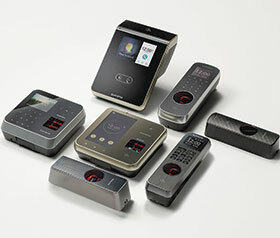 Suprema’s range includes biometric facial and fingerprint readers, RFID readers and intelligent controllers. RFID readers, whether used with RF cards or Suprema’s mobile card solution, are suitable in areas within the company with a lower security risk profile. These areas are usually accessed once an individual has already passed through a more secure access point. Suprema RFID terminals include Xpass, S2 and D2 terminals as well as X-Station. Biometric readers include facial and fingerprint options that provide additional security by ensuring that the person entering through the access point is, in actual fact, that person. With the exception of the BioEntry series, these readers also include full time and attendance features by displaying the time for users when they clock, as is required by many regulatory associations. For enhanced security, Suprema’s BioEntry W2, BioStation A2 and L2 offer Live Finger Detection technology which uses a combination of proprietary optics and algorithm technology to clearly distinguish fake fingers made from a number of different materials, curbing fraudulent activity. Similarly, FaceStation 2 features Live Face Detection. Facial recognition is ideal in environments where touchless access is a must. Suprema’s FaceStation 2 operates effectively in most lighting conditions and offers unrivalled matching speed, accuracy and a high level of security. Across the RFID and biometric range, Suprema also offers various readers that can be used both in and outdoors. These readers are sealed to keep out rain, dirt and dust, and are ideal for most environments, with some readers being further protected with an IK09 vandal resistant housing. Suprema’s intelligent controller, CoreStation, offers you a secure solution featuring centralised biometric template management and matching, allowing you to use slave readers to lower costs without forfeiting matching speed. CoreStation features secure communication and encryption for the most stringent data security today, with no Ethernet connection to, and no data stored on the edge devices. RS-485 connections to slave devices also equates to easy installation at current sites where the implementation of network infrastructure will be expensive, not allowed (i.e. heritage sites) or just not practical.